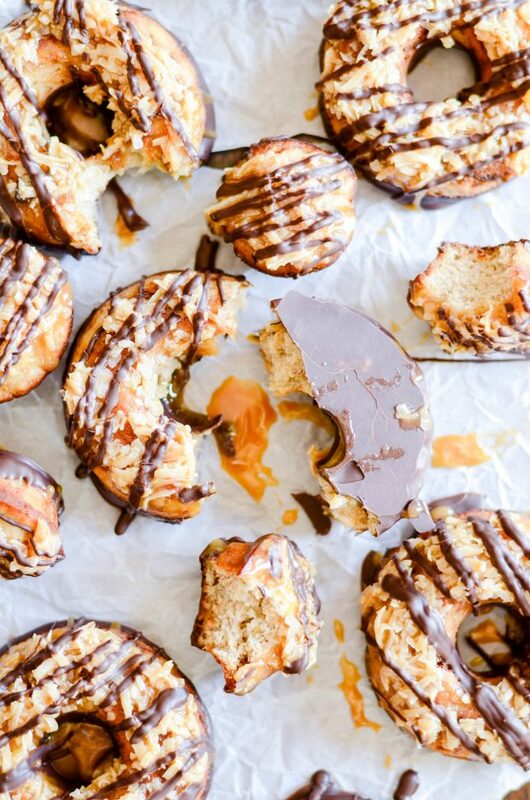 These moist banana bread donuts are baked to perfection, dipped in chocolate, and smothered with coconut and caramel. 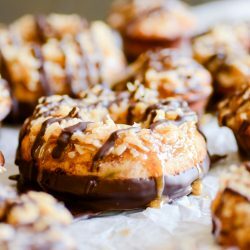 The banana bread reincarnation of Samoas. Seriously. 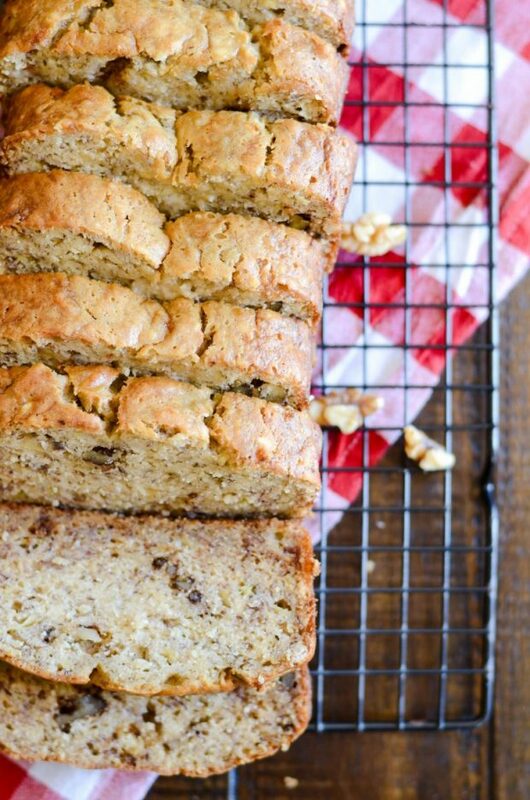 If I were to write another cookbook and it was a one-food-themed topic, it would most certainly be banana bread. Maybe it’s because of my mom’s banana bread recipe. It’s comforting and nostalgic and one of the cornerstone recipes in my baking repertoire. Or maybe it’s because I always over-buy bananas, and we have at least 4 overripe bananas every week for banana bread baking. 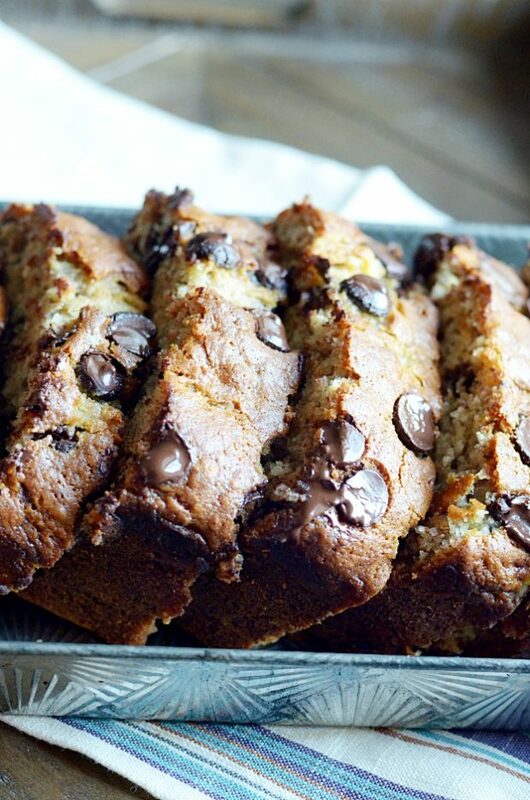 Or maybe it’s just because nothing in the world beats homemade banana bread. Period. 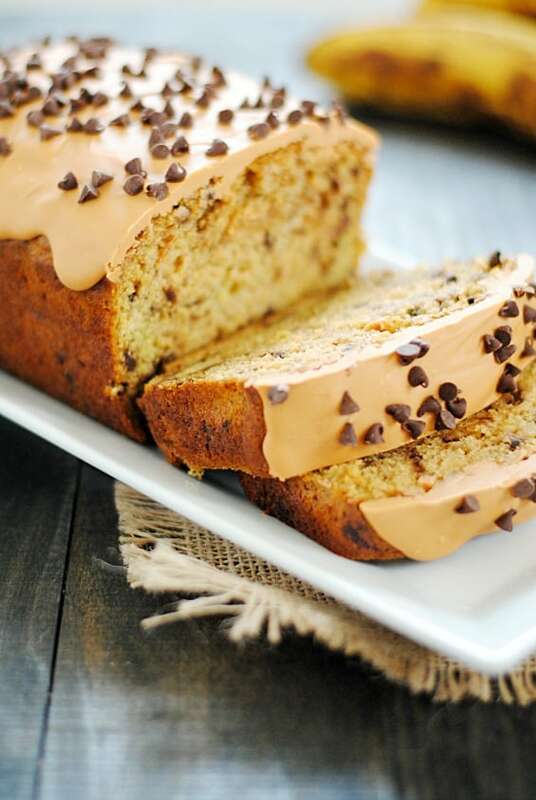 No matter the reason, my love for banana bread knows no bounds, and I love to eat it in any shape or form. Particularly as donuts. Donuts are never, ever wrong. Am I right? Or am I right?! 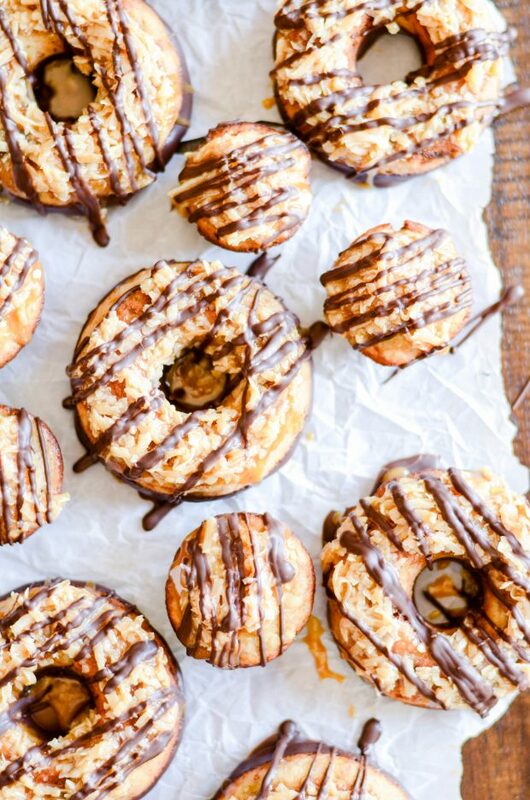 As you can see, these aren’t just any banana bread donuts. These are anything but ordinary. Unless your definition of ordinary includes being dipped in chocolate, smothered in coconut and caramel, and drizzled with more chocolate on top? Because in that case, yes. These would be very ordinary ????. Whisk together the bananas, sugar, egg, vanilla, and vegetable oil. In a separate bowl, mix together the flour, baking powder, baking soda, cinnamon, nutmeg, and salt. Fold the dry ingredients into the wet mixture and mix until batter forms. Transfer the batter to a ziptop bag. Snip the corner and pipe the batter into a generously greased donut pan. Fill each cavity to be about 3/4 full. Bake for 10 minutes and let cool completely before removing from the pan. Melt the chocolate according to the directions on the package. Dip each donut in the chocolate and place on a large piece of parchment paper or silicone baking mat to cool and harden. In another bowl, mix together the coconut and caramel sauce. 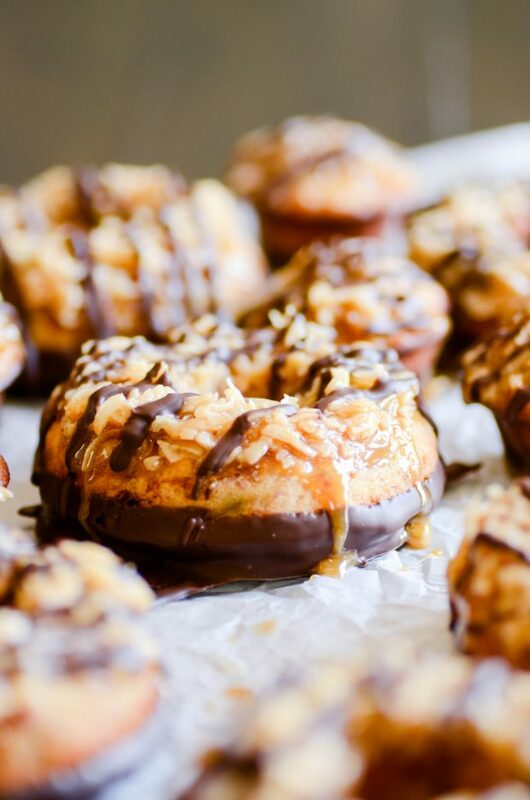 Spoon or pipe the coconut mixture over the donuts. Drizzle the remaining chocolate over the coconut. Best served within the first few hours of making. 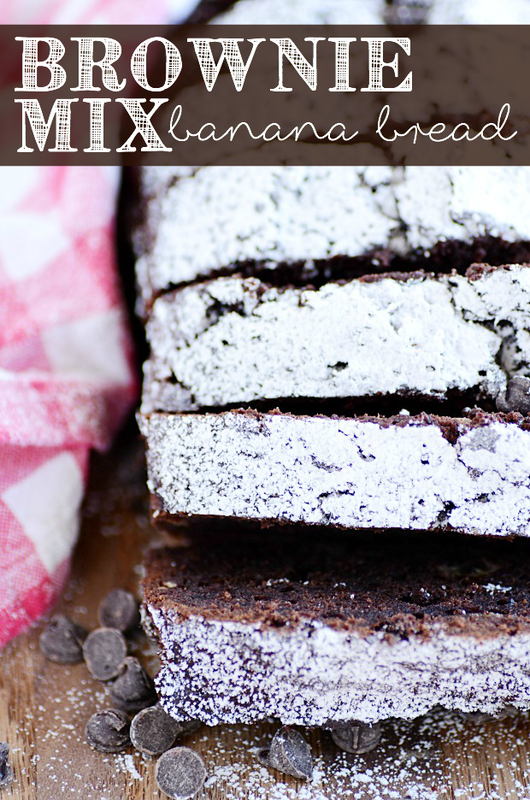 PS: here are some of my favorite banana bread recipes!